Extended Inspiron 14R,15R,17R - Latitude E6540 E6530 E6420 E6540 E6530 E6520 E5530 9 cell Battery|11.1V 9000mAh 97Wh| PN 312-1325 2P2MJ """
Our High Performance Extended Latitude E6420,E6530, E5530 - Inspiron 14R,15R,17R Battery is the Best Performing Laptop Battery Made Today. Our Inspiron/ Latitude E6420 Battery is a 9 cell battery that packs a whopping 97Wh of power and represent the current state-of-the in Li-ion technology. Expected service life is 3 year. This battery is slightly larger than the standard 6 cell version in order to accommodate the extra 3 cells and has the same dimensions of the Dell extended 9 cell version of this battery. 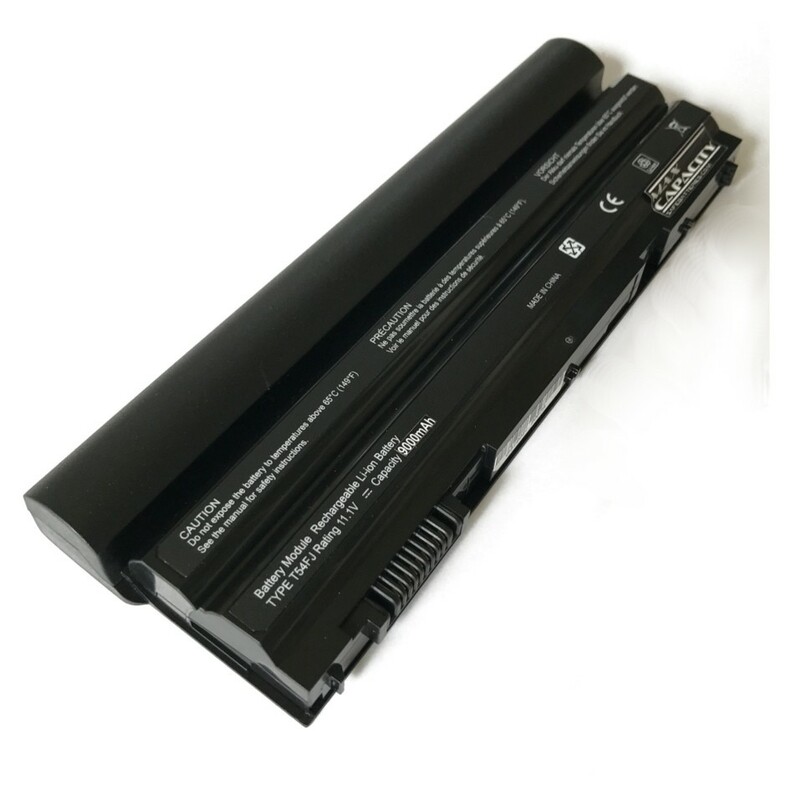 This battery fits: Inspiron 14R (5420), 15R (5520), 15R (7520),17R (5720) 17R (7720) and others: Vostro 3460, 3560 : Latitude E5420, E5430, E5520, E5530, E6420, E6420 ATG E6430, E6430 ATG, E6440, E6520, E6530, E6540 and others see the 'Additional Information' tab below. *** Massive amounts of power to enable you to run longer 30%-50% longer than other comparable 9 cell discount brands. *** Long 3 year service life which is double the service life of most other replacement batteries. We exclusive use Panasonic's Advanced NNP cell technology and all cells are UL1642 safety rated and designed for enhanced US and Euro Zone safety standards.Want the best, the best is Max Capacity. Power On and Stay On!